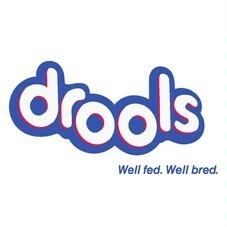 Drools Finster Complete Nutrition All Aquarium Fish Food, - low rates. Drools Finster Complete Nutrition All Aquarium Fish Food is a blend of animal and vegetable proteins and essential nutrients. It does not cloud water. It is floating type of fish food. Drools Finster Complete Nutrition All Aquarium Fish Food is a blend of animal and vegetable proteins and essential nutrients. The fish gets a high-quality, easily digestible diet which fulfills all its bodily needs.The special formula enhances the splendor of natural colours. Builds immunity and ensures its vitality and longevity. It does not cloud water in the aquarium. It is floating type of fish food. Composition: fish Meal,Squid Liver meal, Corn, Corn Gluten meal, Shrimp meal, High Protein SoyaBean Meal, Oat Meal, Soyabean oil, Fish oil, vitamins , organic Minerals,Prebiotics, Probiotics, Astaxanthin, Spirulina, Colourants & Antioxidants. SPECIFICATIONS: Weight - 450 gms Non-Vegetarian 100% Natural. Drools Finsters Flower horn Fish Food is especially created to look after the complete well being of your flower horn fish.